Just The Product! Many of these words are no longer unfamiliar because 10 years ago, a cowboy brand from the Netherlands silently took this slogan to Shanghai. 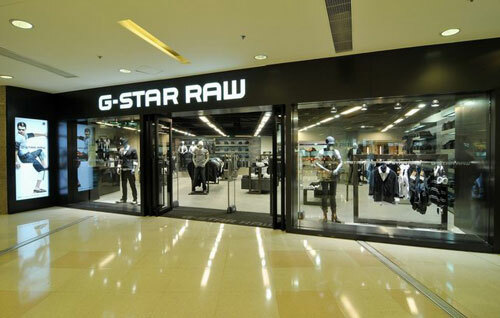 From then on, G-Star Raw continued to grow with this brand spirit and blossomed in China. . Many of these words are no longer unfamiliar because 10 years ago, a cowboy brand from the Netherlands silently took this slogan to Shanghai. From then on, G-Star Raw continued to grow with this brand spirit and blossomed in China. 10 years later, it is already one of the famous giants of European denim brands, and it has steadily become the leading brand in the Chinese cowboy market. In the past 10 years, it has opened 150 stores in more than 60 major cities in China. Up to 14 stores across major business districts. In this year of the 08th Olympic Games in China, G-Star made every effort to attack China's top apparel market, and in March this year, it opened two image stores in Beijing World Trade Plaza and other places. The new flagship store at Shanghai Harbour Plaza was opened on April 9th. The prestigious media publication â€œFashionâ€ awarded the award â€œThe Top Trendy Denim Brâ€. The company also invited famous Taiwanese artists. The letter (Su Jianxin) arrives at the ribbon cutting, showing the influence of the G-Star brand. Tencel fiber is been made from wood material. It is comfortable as cotton, has toughness as polyester, beautiful as wool, cool soft touch as silk. Especially for the toughness, it is much better than cotton when the fabric is in wet. Because good feature as cool and smooth handfeel,good absorption, good draped effect and elastane, it is fit for any type of summer garment and home-textile. Previous: Lollipop open toe flat sandals, comfortable and wild!